Using ready frozen puff pastry saves time .... Popped it in the oven, freshly baked ! 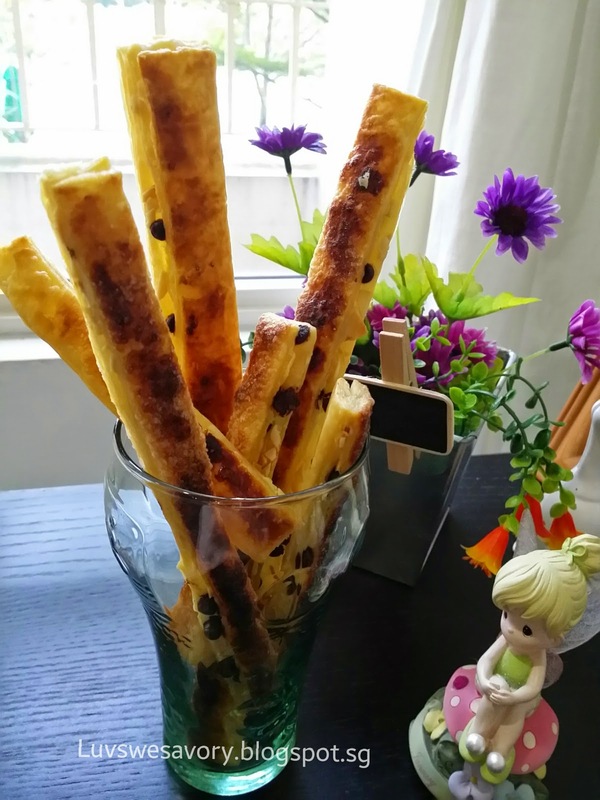 Give a couple of minutes to cool and enjoy these crispy flaky sweet sticks in less than 20 minutes of preparation and baking time. 1) Lightly toast flaked almonds in a pan or in an oven. Thaw the frozen puff pastry sheets for about 2 minutes. 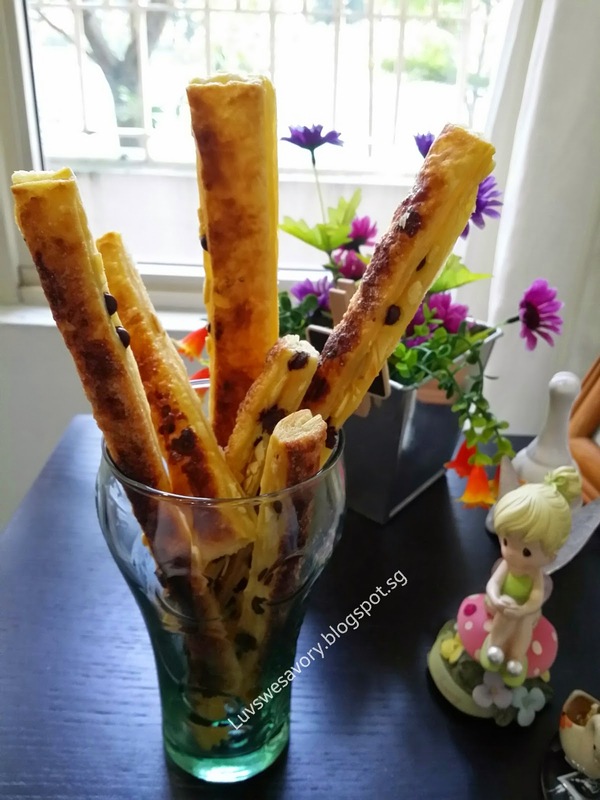 2) Spread the chocolate chips and toasted flaked almonds on the puff pastry. 3) Sandwich with the other sheet of puff pastry, brush egg wash on the pastry and sprinkle sugar on top. 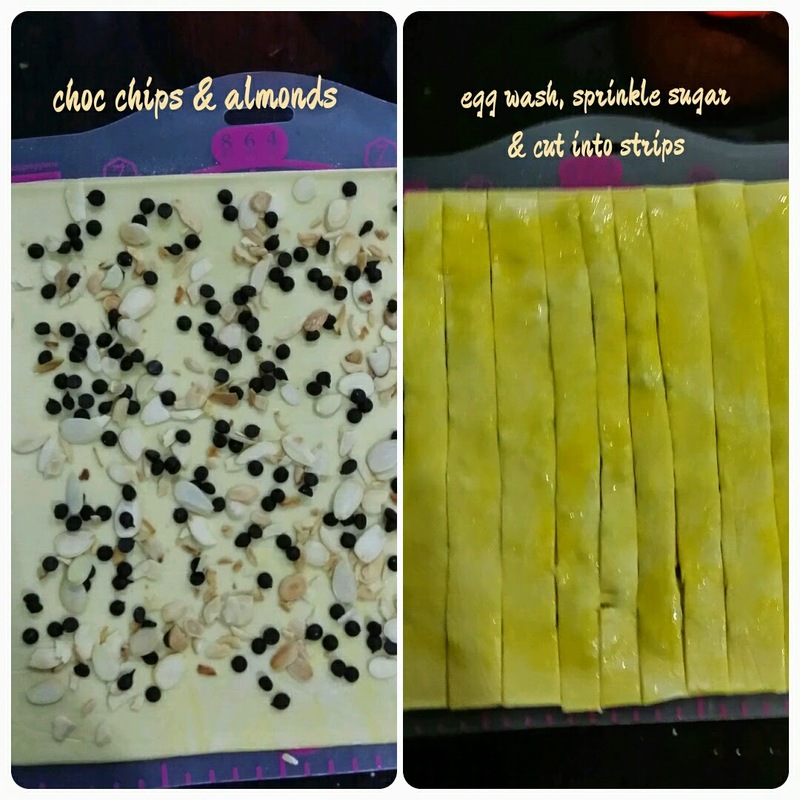 4) Slice into 1.5cm to 2cm sticks. Place them on the lightly greased baking sheet. 5) Preheat the oven at 200ºC and bake for 13 to 15 minutes. 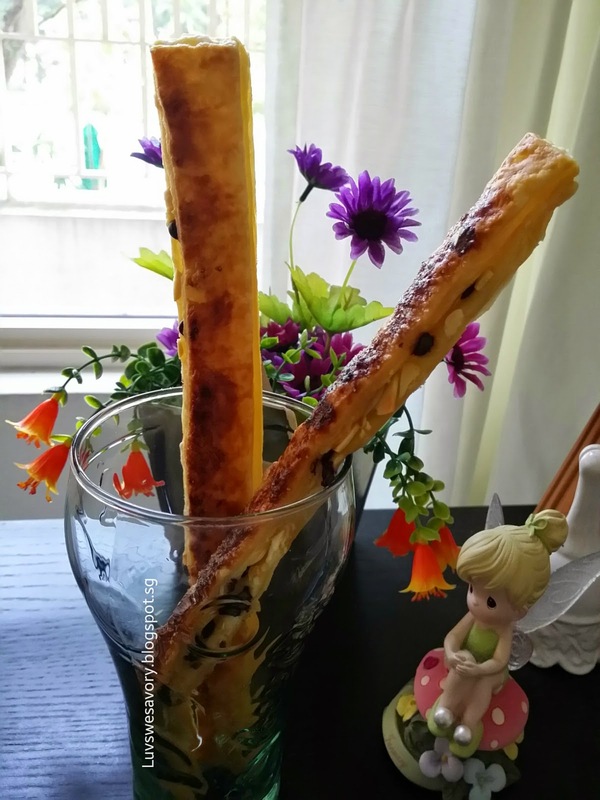 Hee .. hee .. spending another lazy Sunday afternoon with some Chocolate and Almond Sticks ^-^! These are super yummy and easy to prepare. Ooooo looks good! And so easy to make too. Karen, something nice to munch munch while watching TV.I like! Sound so simple and taste good!